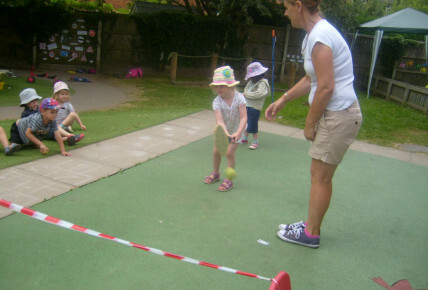 Busy Bees at Southwell - Strawberries and cream anyone? 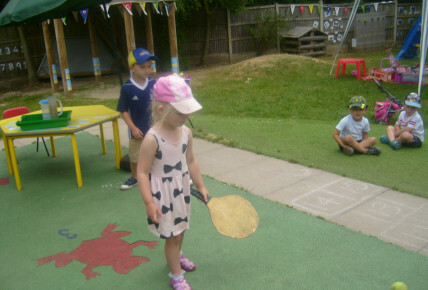 Today the children have displayed their hand eye co-ordination and listening skills, having a little game of guided Tennis. 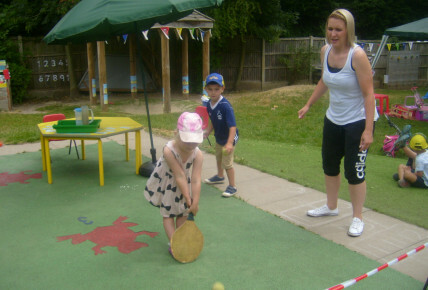 The children have taken it in turns to have a go at hitting a tennis ball with a racket with the assistance of Charlotte and Alison. 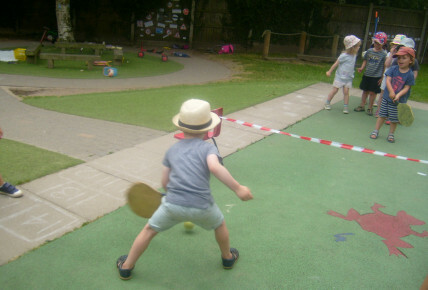 Once the guided activity had come to an end, some of the children wanted to carry on practicing their new skills and have a game of Tennis with their peers in our large enclosed garden area. Connie our chef, has been busy in the kitchen ready for tea time - making cream cheese and cucumber sandwiches and Eton Mess for pudding- sounds like a great day! 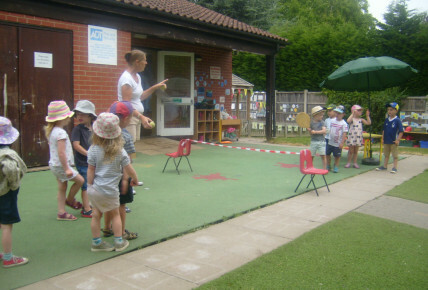 Why don't you pop in and take a look for yourself!